Bird netting and nets for bird barrier requirements are built to custom sizes and dimensions, allowing you to get the bird netting you need to fit your own particular coverage area. 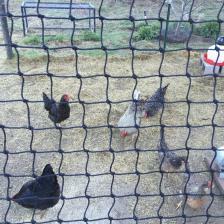 Bird exclusion netting, nets for aviary purposes, and netting for retention pond bird deterrent uses are available. 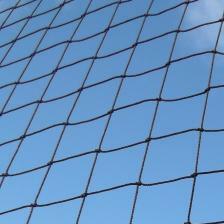 Nylon and polyester net materials are dependable and durable for bird control, and we offer a range of netting twine and mesh sizes to best suit your particular residential, commercial, industrial, or municipal applications. Bird control netting from Gourock is used for warehouses and hangars, pavilions, retention ponds, landfills, koi ponds, aviaries, raptor centers and zoos, stadiums, shopping centers and public areas, fish hatcheries, barns and farms, mining and oil operations, marine and boat applications, along with many more unique bird deterrent uses. 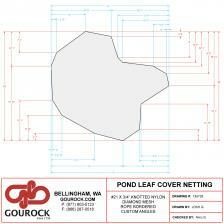 See categories below to view, price, and order custom bird netting online.